A new ed. rev. throughout and embodying recent additions. -- of "The history of Rome, Volume IV". 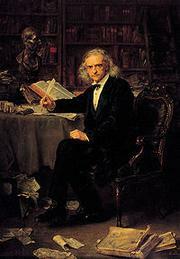 [Deutsch] **Christian Matthias Theodor Mommsen** (geb. 30. November 1817 in Garding, Schleswig-Holstein; gest. 1. November 1903 in Charlottenburg bei Berlin) war ein deutscher Historiker, Rechtswissenschaftler, Journalist, Politiker, Archäologe und Autor. Mommsens Werke und Ausgaben zur römischen Geschichte sind noch heute von grundlegender Bedeutung. Für seine *„Römische Geschichte“* wurde er 1902 mit dem Nobelpreis für Literatur geehrt. Er war auch politisch aktiv, Mitinitiator des „Vereins zur Abwehr des Antisemitismus“ und Abgeordneter im preußischen Landtag und im Reichstag. Mommsen rechtswissenschaftliche Arbeiten hatte einen signifikanten Einfluss auf die Gestaltung des deutschen *Bürgerlichen Gesetzbuch* (BGB). 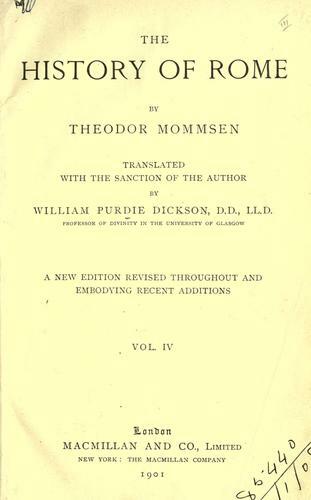 [English] **Christian Matthias Theodor Mommsen** (b. 30 November 1817 in Garding, Schleswig-Holstein, d. 1 November 1903 in Charlottenburg near Berlin) was a German historian, jurist, journalist, politician, archaeologist and writer. 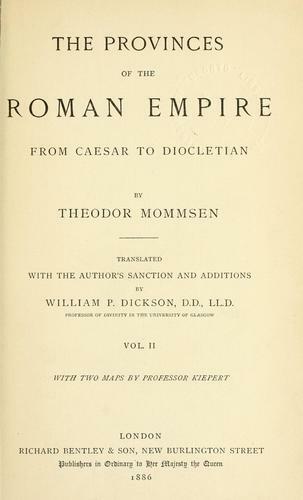 Mommsen's works and editions on Roman History are still of fundamental importance. For his *“Roman History”*, he was honored with the 1902 Nobel Prize for Literature. He was also politically active, co-founder of the “Verein zur Abwehr des Antisemitismus” (“Association for the defense of anti-Semitism”) and a deputy in the Prussian Landtag and the Reichstag (German parliament). 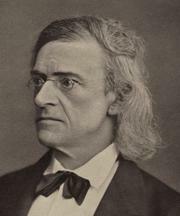 Mommsen jurisprudential works had a significant influence on the design of the German Civil Code (BGB). 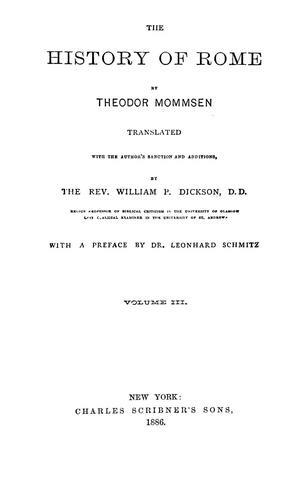 [Français] **Christian Matthias Theodor Mommsen** (né le 30 Novembre 1817 à Garding, Schleswig-Holstein; décédé 1 Novembre 1903 à Charlottenburg près Berlin) était un historien allemand, juriste, journaliste, politicien, archéologue et auteur. Mommsens ouvrages sur l'histoire romaine et les questions sont toujours d'une importance fondamentale. Pour son « Histoire romaine », il a été honoré avec le Prix Nobel de littérature 1902. Il a aussi été actif politiquement, Co-initiateur de l'Association pour la défense de l'antisémitisme et un député au Landtag prussien et le Reichstag. Ses travaux scientifiques ont fait une influence significative sur la conception du Code civil allemand (BGB). [Latina] **Christianus Matthias Theodorus Mommsen** (qui anno MDCCCXVII die triginta mensis Novembris natus obiit anno MCMIII die primo mensis Novembris), rerum gestarum scholar, historicus, iurisconsultus, politicus, excavator et scriptor Germanicus erat. The E-Library free service executes searching for the e-book "The history of Rome, Volume IV" to provide you with the opportunity to download it for free. Click the appropriate button to start searching the book to get it in the format you are interested in.